For the fourth straight time, the Singapore Slingers found a way to outplay the defending champions Westports Malaysia Dragons. On Friday night, the Slingers got a hard-earned overtime 112-110 win over the Dragons at the House of Champions, Gem-In Mall, in Cyberjaya, Malaysia. Singapore's two World imports Xavier Alexander (198-G-88, college: S.Nazarene) and Justin Howard (209-C-81, college: Mercer) powered their way into monster numbers in the victory. Howard tallied 32 points, 11 rebounds, and 5 assists. Alexander meanwhile put up 34 points, even going 16-for-22 from the line, and pulled down 15 rebounds. He also did damage on the defensive end with 6 steals. In another highly-contested and certainly action-packed game, both teams displayed incredible grit and fortitude. Alexander rescued the Slingers from the jaws of defeat as he forced the overtime period. He sank three-free throws and got two steals in the overtime period but it was Wei Long Wong (187-G-88) who sealed the win after making two free throws with 20 seconds left to extend their lead 112-108. 'We came out with a team spirt. We full court pressed them. 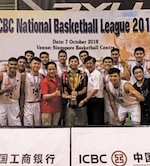 We got into our game,' Slingers head coach Neo Beng Siang said. The Dragons had a 10-point lead late in the second period thanks largely to their latest addition, Kiwi Gardner (170-PG-93, college: Providence). The point guard came out firing and the Dragons played inspired as they had a 52-43 advantage heading into halftime. All momentum was in favor of the Dragons until the Slingers finally woke up in the third period. 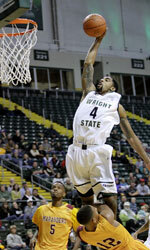 Slingers employed pressure defense to slow down Kiwi Gardner and executed better offensively. As a result, they overwhelmed the Dragons in the third period, outscoring them, 32-16. The tide shifted towards the visiting team heading into the final frame. Singapore even mounted an 8-point lead, 88-80, in the last six minutes of the game. However, the Dragons had a run of their own to cut down the deficit. The Slingers have had a couple of games this season wherein they would blow leads in the dying minutes. In their previous game, they even allowed the Hong Kong Eastern Long Lions to come out of a 20-point hole. 'Stamina wise, we are undermanned,' explained coach Siang. 'We need to get ourselves adjusted to that.' Malaysia got the lead momentarily off of Skylar Spencer (208-F/C-94, college: San Diego St.)'s free throws. Fortunately for the Slingers, Alexander was there to save them, hitting a tough shot underneath the basket with three seconds left to force overtime. In the extra session, the Slingers were able to execute on both ends of the floor to seal the win. Kiwi Gardner, the Dragons' latest recruit, tried valiantly to carry his team. He finished with 37 points, including 5 three-pointers, 8 assists, and 7 steals in his ABL debut. He suffered cramps early in the fourth quarter and was in-and-out of their lineup in the closing moments of overtime. 'Kiwi Gardner today killed us. Luckily, he's not fit right now. But he's a good insert for the KL Dragons,' coach Siang commended. 'He's amazing. He got 37 points in his first game. We expected him to go for 40 because we heard about him. He's quick, he's fast.' After playing his career game in their last win, Ng Han Bin had another good shooting night as he made 4 of his 6 triples and scored 13 points. Wei Long and Leon Kwek combined for 20 points. For Westports Malaysia, Spencer and Joshua Munzon served as Kiwi Gardner's main back-ups. The World import finished with 27 points and 16 rebounds while the Heritage had 19 points and 4 steals but he was not able to finish the games as he fouled out in the extra period. The Slingers improve to a 10-3 record with this win. They've now finished their season series with both the Dragons and the Long Lions. 'The most important thing for us is we're trying to get us is trying to get the home-court advantage,' the coach concluded.